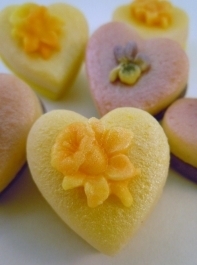 A lovely way to send a gift to a marzipan lover to celebrate Springtime or Easter. 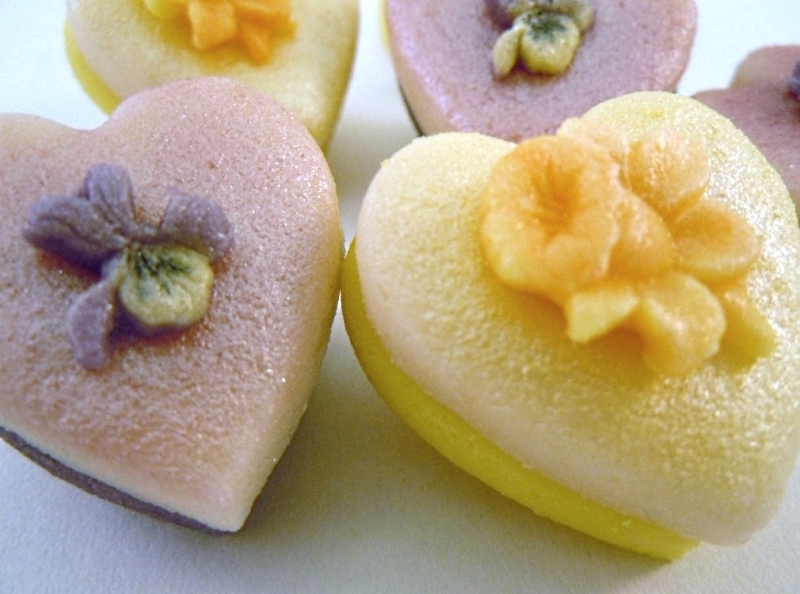 Our Spring Blooms are made from plain almond marzipan, in lilac and yellow and decorated with violets and daffodils. Choose a message of your own for a perfect personalised present. This design can be personalised with a message (letters are impressed into the hearts, NOT on a gift tag) for an extra-special gift. 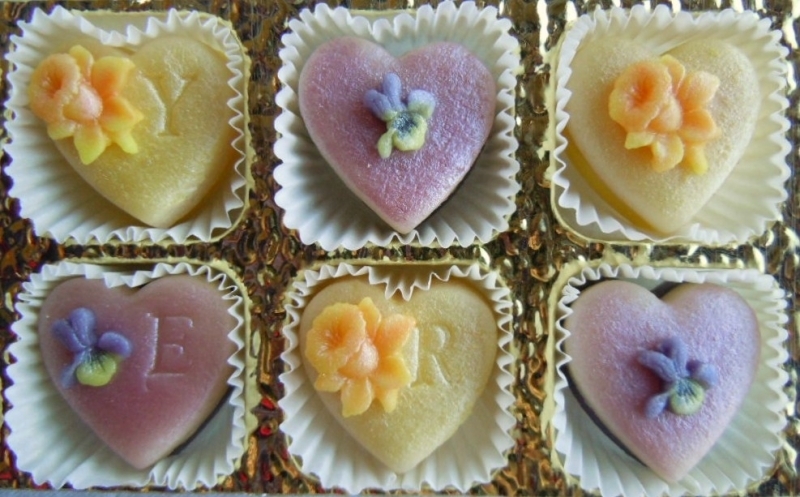 Personalised Marzigrams start at 16 hearts, but if you have more to say, why not go for a box of 24 or 48 hearts? Choose one of our standard messages from the drop-down menu, or select the option for "My own message" and write it into the free text box provided.